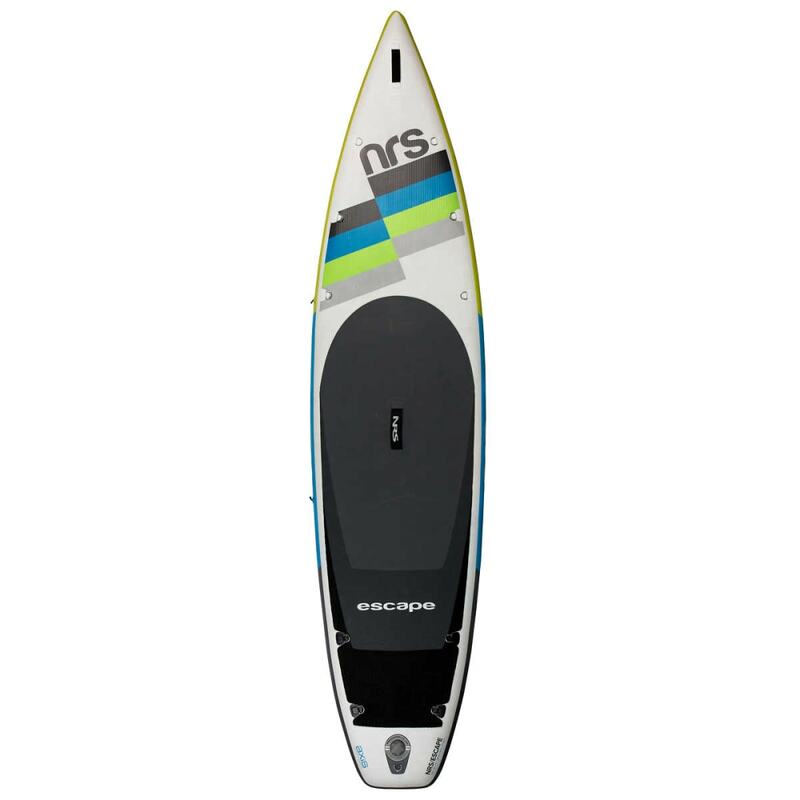 NRS Escape Inflatable Paddleboard, 11' 6"
The NRS Escape SUP Board gives you efficient performance for fast morning workouts and long afternoon tours, plus the carrying capacity to support that overnight adventure on your bucket list. The Escape features our proprietary Axis Technology™. 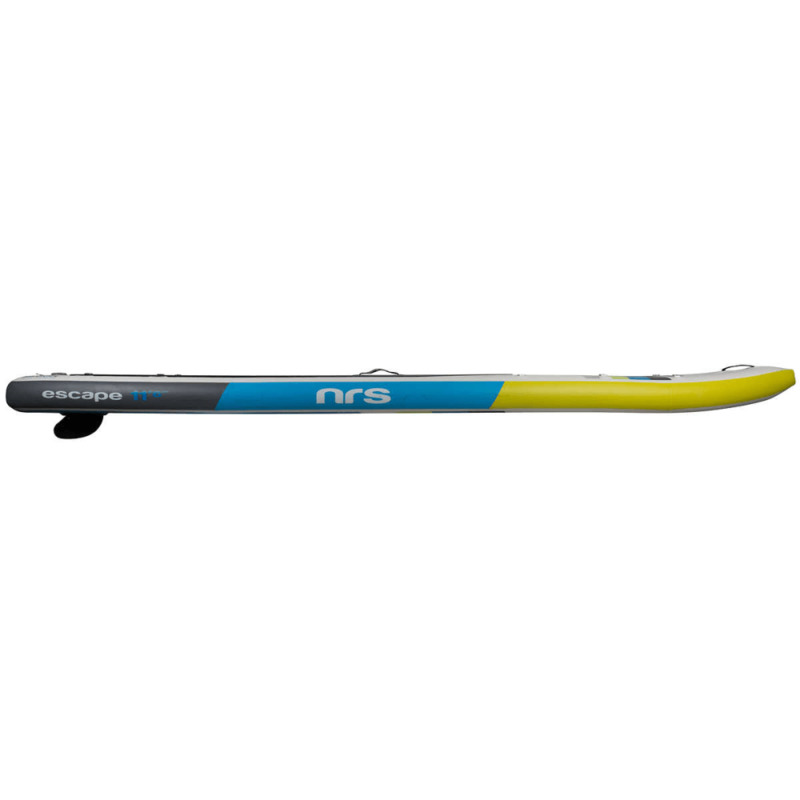 Axis, an acrylic stiffening agent integrated in the deck, improves stiffness and performance without adding weight or making the board harder to roll up. 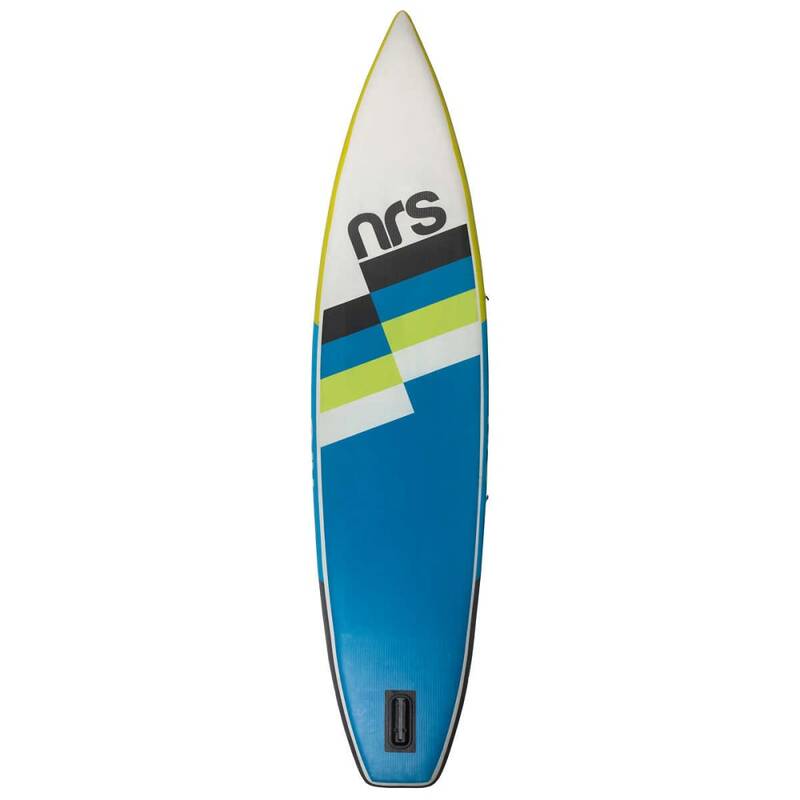 Inflatable SUP boards add versatility to your adventures. 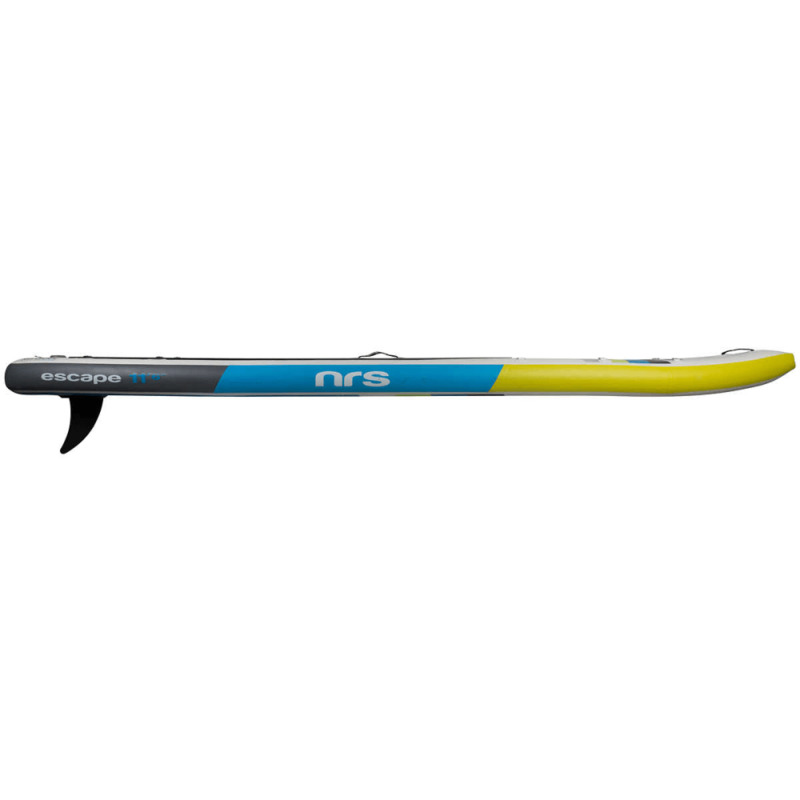 So fold up the Escape, toss it in your rig and escape to your next paddling destination. 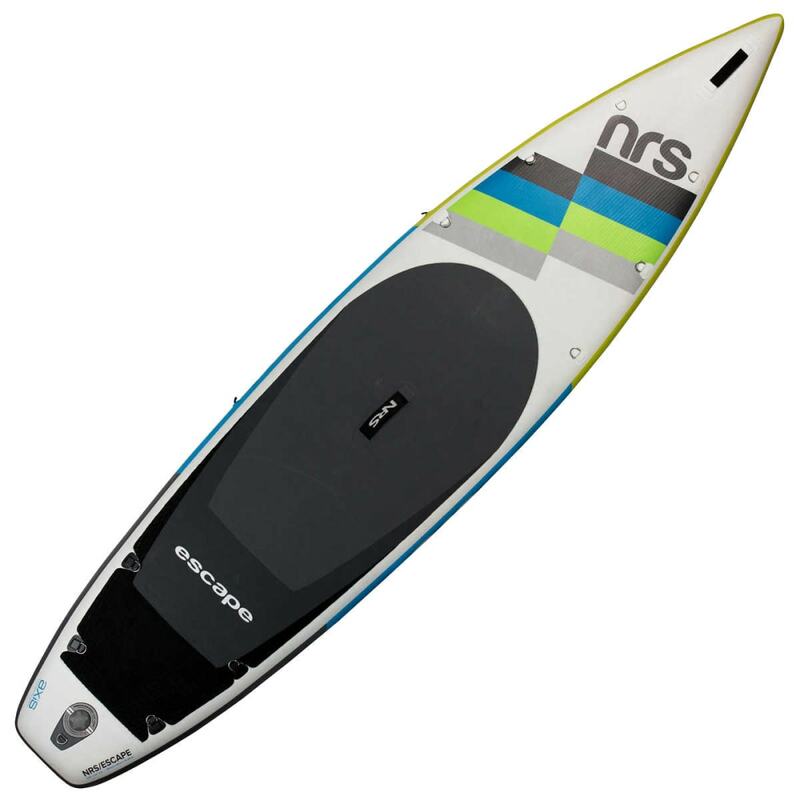 With 318 liters of air volume, the 6-inch-thick Escape 11'6" provides optimal performance and stability for paddlers up to 250 pounds. 12 stainless D-rings maximize your options for attaching a leash, and enough gear for overnight trips.